The statistic presents the leading barriers to implementing mobile marketing in North America in 2017. 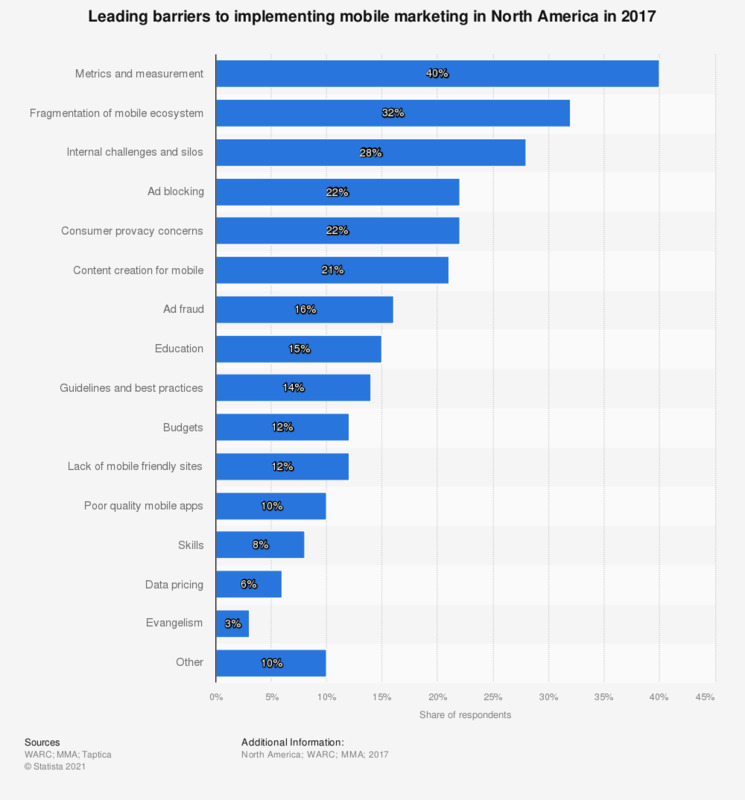 During the survey, 40 percent of surveyed marketers stated that metrics and measurement was a problem for them when it comes to mobile marketing. The source did not provide information on the sample or exact date of survey.